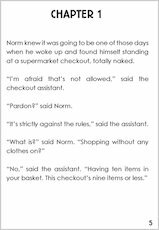 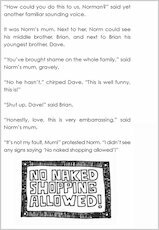 Norm knew it was going to be one of those days when he woke up and found himself standing at a supermarket checkout, totally naked. OK, it’s just a crazy dream. 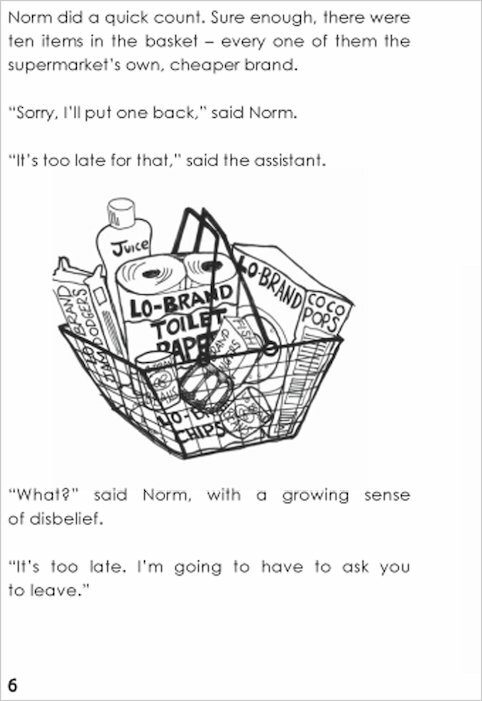 But is it a sign of things to come? 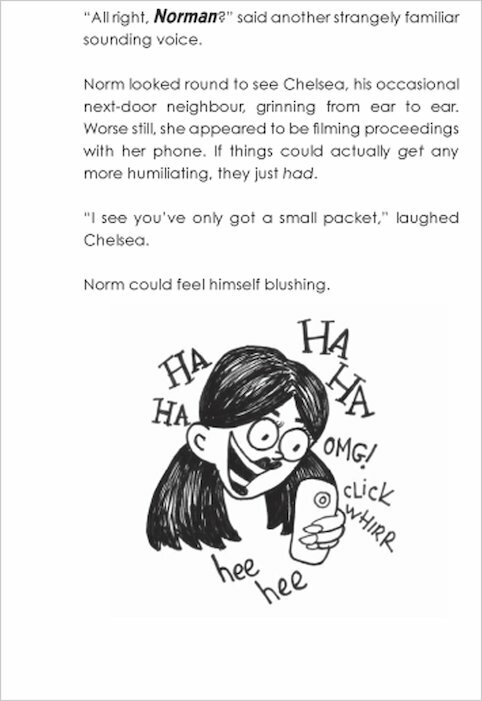 After all, the bad omens seem to be coming true. 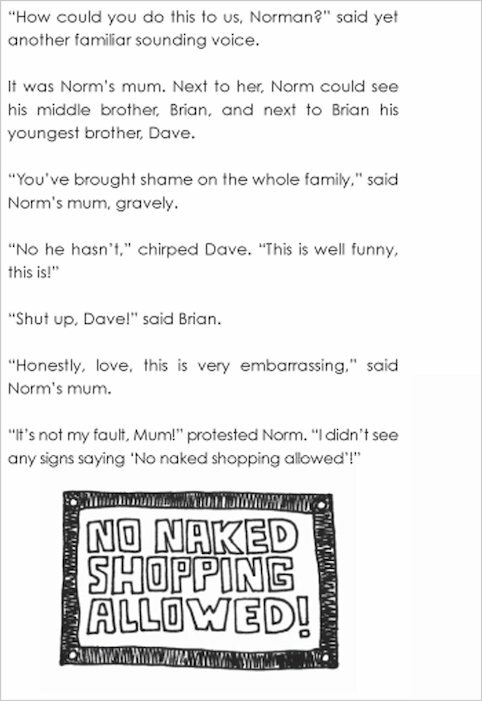 As well as Norm’s freaky dreams, there’s the shaming photo posted on Facebook – possibly by someone who wants revenge on him. 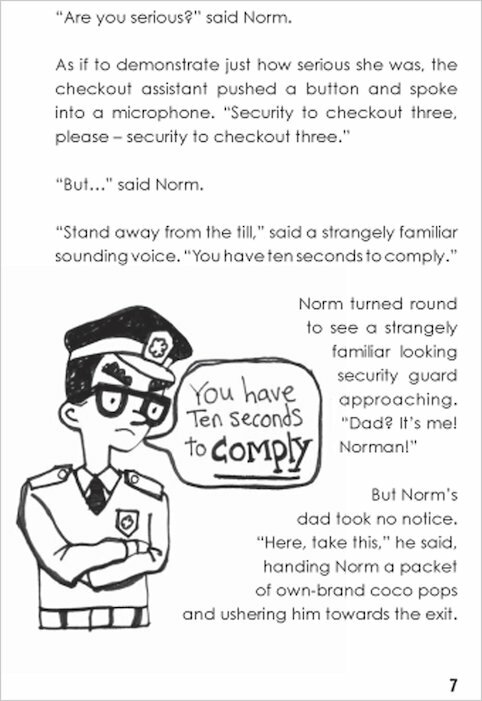 And don’t even get Norm started on the visit from his perfect cousins, with their perfect manners and perfect grades. 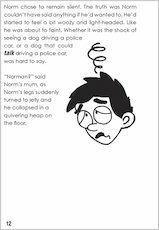 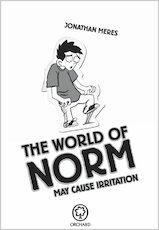 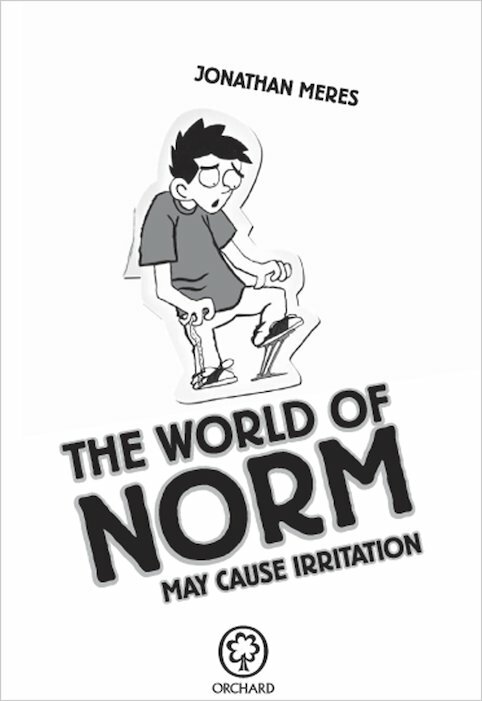 In Norm’s gloomy life, things are going from deeply unfair to seriously irritating! 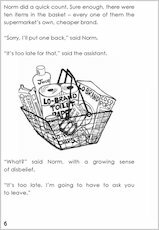 Even though i don’t like the first one but this rocks! 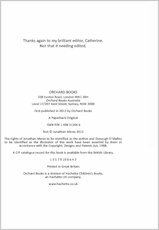 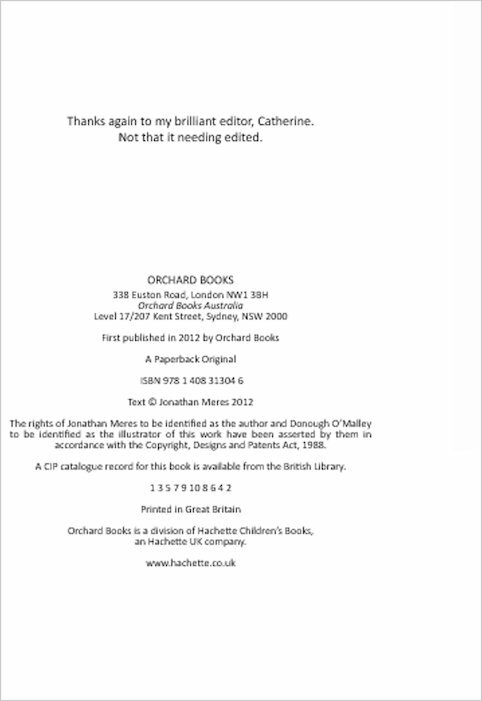 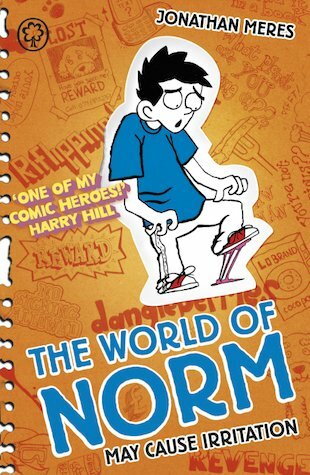 This book is so funny. 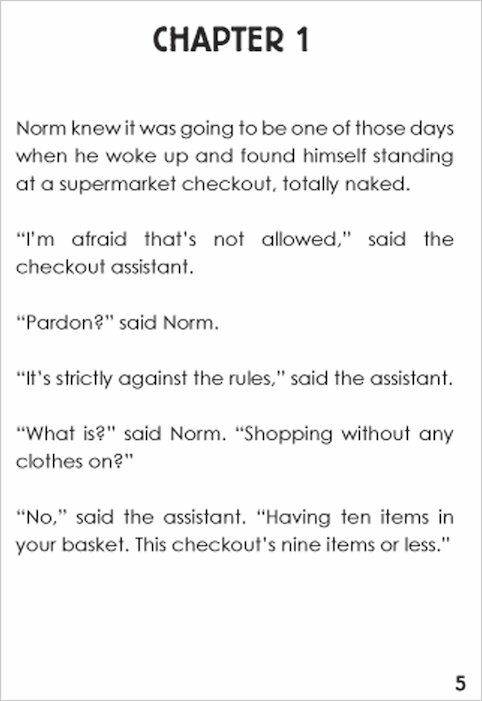 There is always a surprise in store like Norm’s perfect cousion faking his report. 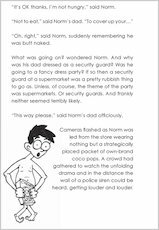 Jonathan Meres has worked as an ice-cream van driver and a stand-up comedian but now he’s the bestselling author of The World of Norm books! 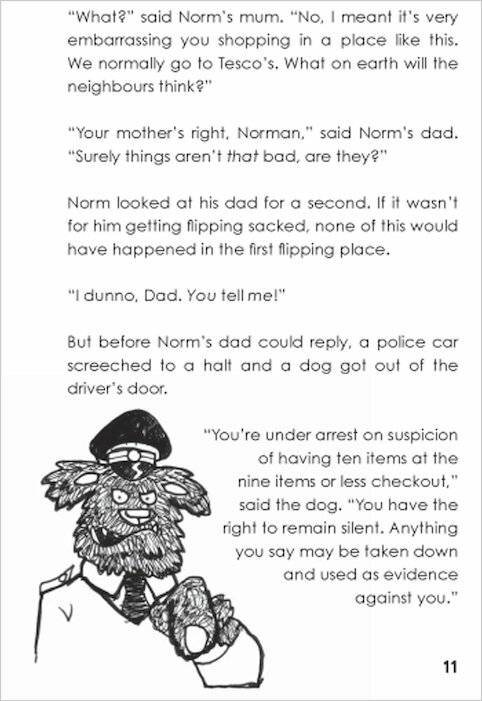 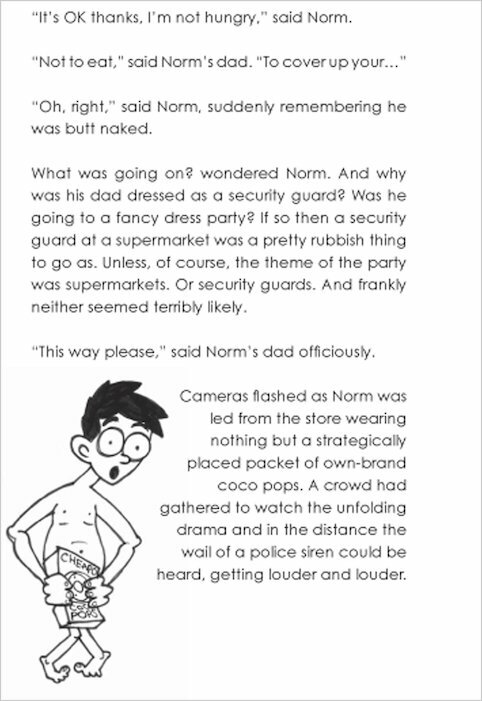 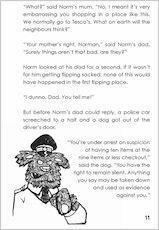 Winner of the 2012 Scottish Children’s Book Award (younger readers) for World of Norm: May Contain Nuts.